﻿ How online education platforms can reach out to wide number of students? The cut-throat competition prevailing around us not only makes education necessary but also encourages itself to improve its quality. 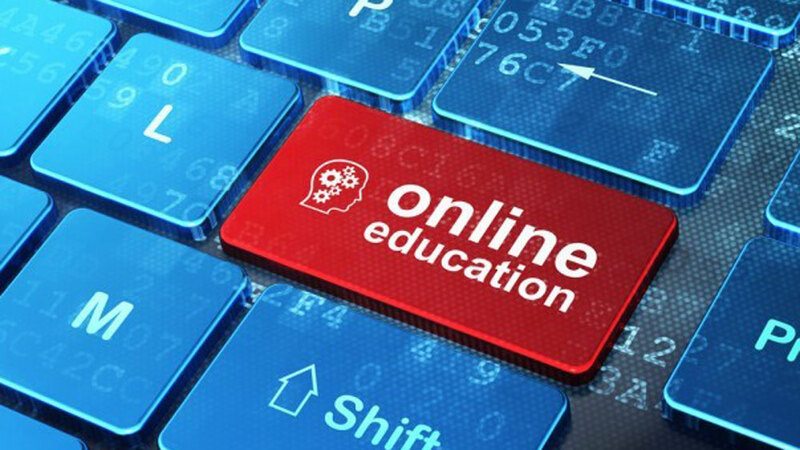 These days, online education has become a buzzword in the educational sphere. This change was brought about by a few online education platforms which are,to an extent astoundingly disrupting the Indian education system. Unlike other industries, the conventional education sector of India is still not very comfortable in accepting newer technologies in teaching methodologies. Therefore, there was a need to fill in the gap created by the absence of new teaching methodologies which was filled by several online educational platforms or EdTech startups that aimed to revolutionize the education ecosystem. Today, India is the 3rd largest E-learning market in the world,ranked just behind US and China. With the advent of the right to information, various technologies accompanied by awareness, it is highly likely that the technological improvements will only speed up in the coming years. What do these educational platforms aim at? The online education platforms can help government and private schools in improving the learning infrastructure. It can help with personalized learning pathways. It can also help in catering to the needs of the underprivileged and children with special needs, by offering basic employability skills and language skills. A recent study by employability assessment company, Aspiring Minds, reported that only 4.77% candidates could write the correct logic for a program which is the minimum requirement for any programming job. The study declared that about 95% of IT and software engineering graduates were unemployable. This came as a surprise after 36,000 engineering students from IT, Computer Science and related streams from over 500 colleges participated in the Automata test(a Machine Learning based assessment of software developing skills). To add to the insult, more than 60% of students could not even write a compliant code. The study also added that the programming skills are five times more poor for tier III colleges as compared to tier I colleges. This lack of programming skills has been adversely impacting the IT and data science ecosystem in the country. The state could not be worse. These online platforms can help the government in solving this problem in a quick time, if a proper emphasisis laid on by the government to help and promote these platforms. Why do we severely need these Online Education Platforms? Not just school and children, online learning has made education accessible even to those who had quit conventional learning due to monetary constraints or other issues. The aspirants include those aged people who are always willing to continue their education and young students who are not able to afford higher education at major universities. It has also become a useful tool for the professionals who want to re-skill themselves and add an edge to their higher qualification for better job prospects. It is also a golden opportunity for people doing full-time jobs who don't have the time to opt for a traditional university course. Similar is the case with those parents who can't afford childcare for their children to attend a traditional university. All those people with physical disabilities and slow learners will, in some way or the other, find an education paradise in an online platform with a holistic approach.It offers what we all wanted while we were kids. They have the benefit of getting taught at their own home, at their own time and by far in one of the simplest ways. A way that is by far cheaper than attending a school or university class in a brick-and-mortar setting. What does every Student care for? What every student cares about is his learning and the course quality. Apart from that, a sincere student wants to be a part of different levels of collaboration, with flexibility, and access to more relevant information.The educational platforms can attract a wide number of students by meeting their rising expectations and by making improvements to the services they offer. Online education in India is going two steps ahead of the secondary, post-secondary and tertiary education. It acts as a window to easily understand modules for competitive exam preparation and programs for professional skills enhancement. For those students who want to opt for other courses on non-academic subjects, these platforms act as a unique and cozy dormitories of learning. The country has seen a tremendous smartphone penetration and growth in Internet connectivity in the last one decade. A large part of that user-base consists of students.These online education platforms can take advantage of it. These online learning platforms definitely have a promising future, although it wouldn’t be replacing the traditional learning, but will only complement it. Three things namely, quality content, quick delivery, and easy access will always act as a game-changer in transforming the online education and attracting more students. This article is authored by Rohit Manglik, Founder, EduGorilla.